Honor is set to announce a new flagship device Honor Magic 2 on October 31 and we are still more than a week away from the official launch. Just two days back, we reported about an alleged leaked Magic 2 render which indicated four cameras aligned vertically on the left side of the rear panel similar to what we have seen with Huawei P20 Pro camera arrangement with three cameras. 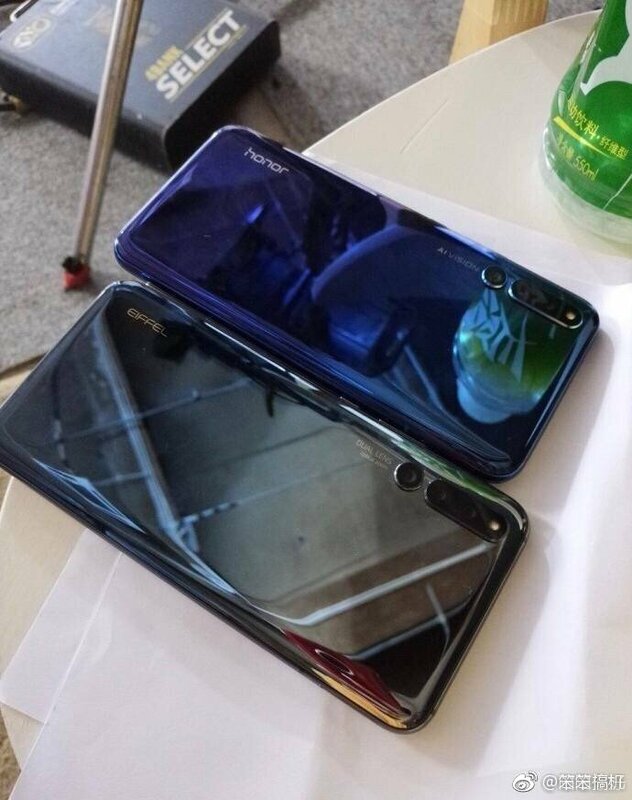 But today another alleged Honor magic 2 image has surfaced which contradict the earlier leaked render with four cameras at the rear. The latest leak suggests only three cameras at the rear instead of four. Both the leaks can’t be right and one of them is certainly wrong, but we are not sure which one it is, at the moment. Apart from the leaked image above, a hands-on video of Honor Magic 2 has also surfaced which show the device in two different colours Blue and Silver showing the sliding mechanism of the phone but avoids the rear panel in the video. One of the frames though clearly reveal a vertically aligned camera module at the top left but doesn’t reveal the number of camera sensors. Honor Magic 2 is expected to feature a 6.0-Inch AMOLED display with a resolution of 1440×2880 pixels having close to 100 % screen-to-body ratio, powered by Huawei Kirin 980 processor that also powers the Huawei Mate 20 series devices. The official teaser image released earlier confirms the in-display fingerprint sensor embedded in the front display. We already know that the phone features a sliding mechanism for the camera with probably a movable motor to slide and use the front camera. Other features include the 40W ‘Magic Charger’ with 15 layers of protection which probably can charge much faster than the existing fast chargers which come with maximum up to 20-24 watts capacity.